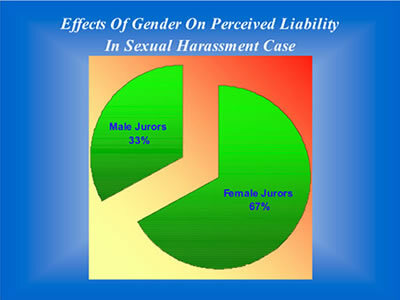 Let AJR help you recognize jurors' true attitudes and prejudices, even if jurors are reluctant to acknowledge these. Our goal is to help you obtain a jury with the greatest latitude of approval for your case. Jury selection is a difficult task requiring wise choices made with little information, numerous distractions, and strenuous time constraints. We quickly, efficiently and effectively identify for our clients those jurors with biases, closed minds, secret agendas, fears, emotions and negative viewpoints. In addition to AJR's extensive knowledge and experience, we employ cutting-edge research from the fields of psychology, sociology, communication, business and law to identify those jurors most damaging to your case. With more than 25 years of jury selection experience and jury research, no one knows juries better than AJR! AJR strongly prefers to review pertinent case documents prior to jury selection to identify the major case strengths and drawbacks in order to determine the likely reactions of individual jurors to these. Each case will have its own controversial issues to which jurors respond, and jurors who may ordinarily be good for a particular case type may not be good when other important issues are interjected. We also prefer to review the depositions of critical witnesses to assess juror reaction to their testimony. Some jurors will unquestionably respond more favorably to this testimony than others . Once AJR has analyzed a case to identify strengths and drawbacks, we then develop a juror profile focusing on the most damaging jurors for that specific case, identifying those juror characteristics, attitudes and life experiences most unfavorable to your case. While AJR will also identify favorable jurors, the emphasis is on the jurors you do not want since jury selection is actually a "deselection" process. 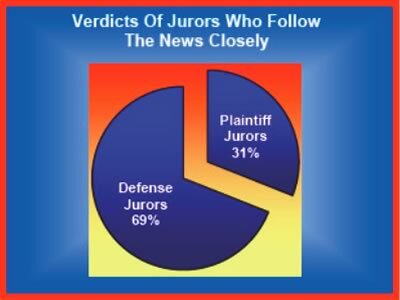 This juror profile can be in written or verbal form, depending upon time and budget. 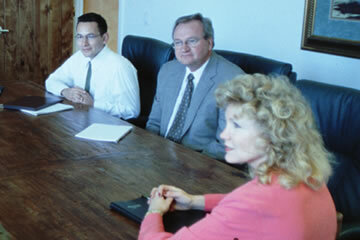 As a result of our 25 years of jury selection, an extensive computerized base of voir dire questions has been developed, both for civil and criminal matters, applying to a wide range of cases. Those questions pertaining directly to your case are then tailored for voir dire, and new questions are developed as appropriate. These questions are developed through a specific strategy to identify the worst jurors for your case, and to expose bias so jurors may be eliminated via cause or peremptory strikes. The questions are provided on a disc for your future use. Full sets of questions can be obtained, as well as supplemental sets. Again research from the fields of psychology, sociology, communication, business and law is extensively incorporated into the strategy for voir dire questions. In addition, when the consultant is present in the courtroom, questions are fielded to the attorneys for individual follow-up with jurors. Getting jurors to commit, on paper, to opinions and experiences prior to voir dire, and prior to peer and courtroom influences, will alert you and the judge to true biases. Feelings and experiences jurors will not verbalize, they will often write. Supplemental jury questionnaires can save time by eliminating individual discussions with jurors having obvious prejudices or hardship conditions, and can alert attorneys and judges to those jurors who should be questioned individually. Questionnaires are warranted when your case involves sensitive and controversial issues, when media coverage is extensive, when your client is well-known, or when your trial will last more than two weeks. At trial, the litigation consultant sits with counsel to help "deselect" the jury. The consultant closely and continuously observes the panel for the attorney and records responses. This is critical as counsel's attentions are often focused on other necessary and demanding matters, such as opening statements, order of witnesses, motions in limine, etc. Jurors are ranked on scales, and explanations are given for this reasoning. The consultant assists with challenges for cause, including Batson challenges. The consultant also assists counsel with critical follow-up questions for the jurors during voir dire, based on their responses.